The Night That Changed Our Lives will take you into what many would consider to be a nightmarish few months. 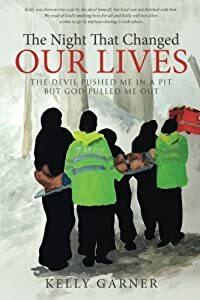 Kelly Garner shares his inspiration, encouragement, and how God has enriched his and his family's lives throughout this ordeal. God has provided him with a mission of being a leader and disciple, sharing what God has done in his life and what He too can do for others who will give themselves to the Lord. He will be an inspiration to all when they read about his struggles turning into a glorious outcome during his rigorous rehabilitation period that lasted for months. More than two-thirds of American homes have a pet as a member of the family, and in over half these homes, at least one of those pets is a dog. The old saying, “a dog is a man’s best friend,” has never been more true. Many hearts and souls are warmed by the unconditional love, loyalty, and companionship of dogs. 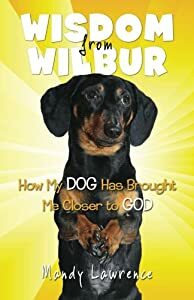 Wilbur, a beloved and mischievous "weenie dog," has brought much love and joy into the life of author Mandy Lawrence. He has also managed to teach her some valuable lessons. Mandy’s relationship with Wilbur has given her deeper insight into her relationship with God, and she has drawn many interesting parallels between the two. Find a comfortable chair and invite a furry friend to join you along this amazing, insightful journey that will lead you deeper into the heart of God. Mr. Ingram’s odyssey of rebellion and redemption led to his discovery of life saving and life affirming principals. His introduction to the Primitive Christian practice of Meditation, taught by a Los Angeles preacher and his foundation, began his journey of self-discovery and awakening. The answers to the mysteries of life were never more needed than during our present age of loud and competing voices that pressure and control us. 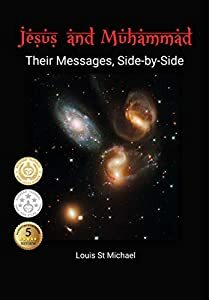 This book is for anyone interested in clues to the true purpose of life. Is there a real moral compass? What is your true Identity? It’s for church goers and the unchurched, all religious believers, spiritual seekers, and skeptics. Explore their core words, by topic and side-by-side. The content speaks for itself—a neutral, one-stop reference for people of any faith or no faith who want to look at Jesus vs. Muhammad. Go to the very source of each faith, and make your own discoveries. Compare Jesus and Muhammad's messages only, as recorded in the Bible and the Qur'an. 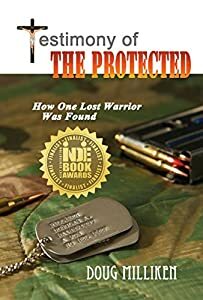 There is much preparation made in advance of an upcoming deployment, but sadly spiritual readiness rarely makes it on the check-off list.The military community agrees that war inflicts injuries to the souls of our service members, but faith is the glue that makes a difference in coping with adversity or when living under difficult circumstances such as the military lifestyle. Faith Steps for Military Families: Spiritual Readiness Through the Psalms of Ascent explores the themes of the fifteen Psalms of Ascent (Psalms 120-134) in the book of Psalms in the Bible. These special psalms, packed full of rich and descriptive metaphors reveal common military themes such as traveling to or living in unfriendly environments, enduring dry and sometimes desperate times, mastering restlessness and dissatisfaction in a complex lifestyle, coping with unforeseen conditions, fear, lack of unity, and other topics. The ancient Israelites, called, Pilgrims in these Psalms of Ascent sung these psalms while traveling by foot to the great festivals of Jerusalem. 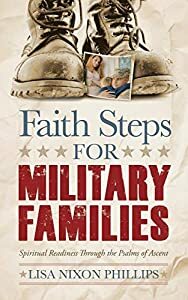 Lisa Phillips, a retired military wife shares some of her experiences, while walking you through the meanings of these Psalms, then translates them into the lives of 21st century military families. These fifteen themes build resiliency and will revitalize your family’s spiritual foundation to persevere through the challenges of an arduous and stressful lifestyle. As you do, you’re on your way to deeper appreciation, devotion and fellowship with God. By unpacking the meanings of the metaphors, you’ll discover God’s methods and His nature in ways you’ve not likely thought of before. Like the early Israelites, military families are today’s pilgrims, always on a journey---always looking ahead to the next duty station. Military life can get overwhelming. Invite God on your unique journey and discover the fifteen key elements for laying the foundational stones to a stronger spiritual footing that leads to a life of blessings. 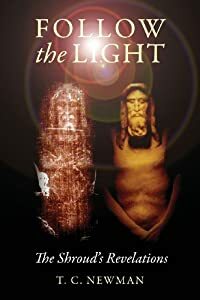 A factual narrative explaining an innovative, artistic technique, developed by the author, who deciphers the three-dimensional information encoded within the image of the Shroud of Turin. The Shroud is one of the most misunderstood artifacts known to humanity, and one of the most rigorously investigated. It has baffled scientist, chemist, and theorist who despite all their examinations, debates, and annalistic data, cannot explain the mechanics of the image, why it is there, or what caused the image to appear. While studying this image as an artist, an unexpected and unique method developed that explains the image and demonstrates what this image is, and how the image emerged on the cloth. Many mysteries concerning the Shroud's image can now be deciphered, including why there are three ratios of size within the image, why the position of the wounds on the cloth are not accurate to the locations on the body, as well as an explanation of how long it took between death and the creation of the image. This method proves the man was much shorter in stature than first indicated by the image. It explains why this image encodes three-dimensional information. It also provides the most accurate depiction of this man as created by the follow-the-light method. This journey incorporates thirty-years of determination. Through experimentation, the author discovers the Shroud's image is a blueprint that creates its own three-dimensional sculpture with stunningly new details. As one question leads to another, the solving of the mysteries concerning the Shroud is fulfilled, one-by-one. This documentation permits the reader to experience the events that explain the secrets of the image-producing process, within an easy to follow storyline. There are many more answers between these pages, and all of this evidence began as a home-science project between an artistic mom and her eight-year-old child, who together powerfully exposes the hidden truth behind the creation of the Shroud's image. This narrative also explains the artistic-process in detail, so that any artist may reproduce the process and verify all of the evidence that this book contains. The conclusion remains thought provoking and relinquishes all of this evidence to the hands of the reader to determine if the Shroud of Turin, is in fact, the Shroud of the true historic Jesus. 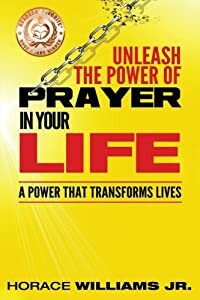 From Stroke survivor to an Award-winning author!Do you desire a powerful prayer life? Prayer is a mystery that we struggle to understand. Your prayer life is a reflection of your relationship with God. Almighty God welcomes you to approach His throne of grace. You have access to His AMAZING power. A power that TRANSFORMS lives.God's power will transform your life and the lives others. I have experienced His power in my own life. 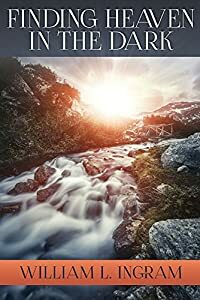 God in His goodness rescued me from a dark and dangerous path my life was headed down.In this book, I will share some of the beautiful blessings available to you as you strengthen your prayer life while seeking God in prayer. When you make prayer a priority and pray with purpose, God’s power is revealed, and lives are transformed! Are you ready to unleash God’s power in your life? 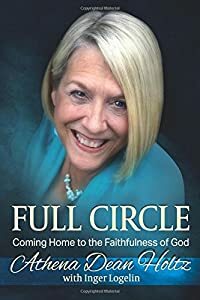 In the aftermath of spiritual abuse and toxic leadership, one woman s shattered life is restored by the faithfulness of God. Athena s driving desire for affirmation and attention pulled her away from her family, husband, and children into what she thought would bring happiness. Deceived by Scientology, forays into mysticism, and twelve years in a restrictive and legalistic cult, she lost everything her marriage, relationships, home, business, money, and reputation. 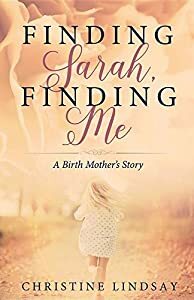 This is the candid and inspirational story of how her eyes were opened, how God restored what had been lost, and gave her the desires of her heart, including a new love.